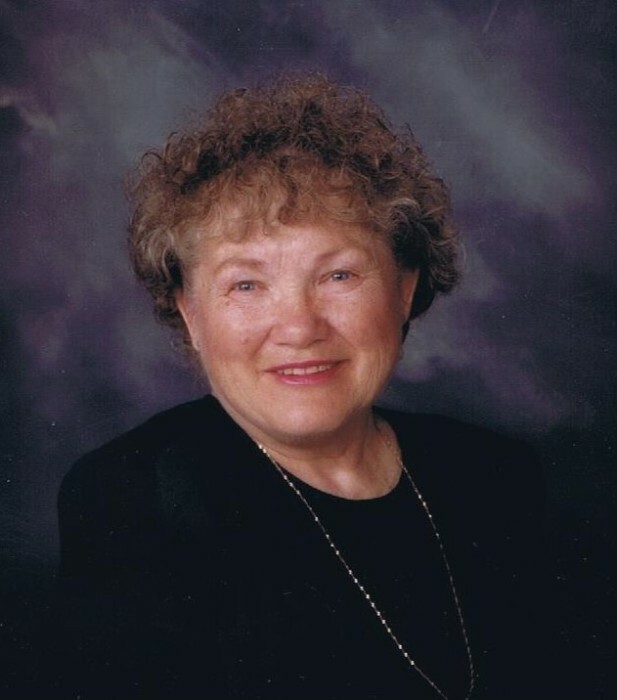 Funeral Services for Edith Cochran will be held at 10:00 A.M. on Wednesday, February 13, 2019 at The Price - McElroy Funeral Home in Mt. Victory with Pastor Dave Dooley officiating. Burial will follow in Hale Cemetery. Friends may visit from 6:00 P.M. till 8:00 P.M. on Tuesday, February 12, 2019 at the funeral home in Mt. Victory. She died on Saturday, February 8, 2019 at Kenton Nursing and Rehab. She was born on November 5, 1930 in Mt. Victory to the late Archie and Mary (Metz) Parthemore. On August 8, 1948 she married Curby Cochran and he survives in Mt. Victory. Also surviving 2 daughters; Penny (Mike) Wells of Mt. Victory and Peggy (Phil) Hoghe of Ft. Wayne, IN. 1 sister; Wilma Plummer of Dayton. 3 Grandchildren; Cassandra (Rob) Kilgore, Jay (Angela) Mentzer and Cary (Lauren) Hoghe. 6 Great Grandchildren; John (Cassandra) Kilgore, Landon Mentzer, Avery Mentzer, Finn Hoghe, Charolette Hoghe and Sawyer Hoghe. 1 Great-Great Grandchild; Isla Kilgore. Edith was a 1948 graduate of Mt. Victory High School. She loved to ride motorcycles with her husband, so much so that they became life members of the American Motorcycle Association (A.M.A.). One of her fondest memories was when they traveled to Europe and rented a motorcycle for a month and just drove around the country. Edith was a true homemaker. She loved her children and her grandchildren dearly, and it was her true joy taking care of her family. She enjoyed watching them at various sporting events or anything else they were involved with. Edith never knew a stranger and had an outgoing personality that will be dearly missed. In lieu of flowers memorial donations may be made to Hardin Co. Humane Society.